However, the Speaker is also helpless before a vast apparatus of partisan acolytes in the bureaucracy and law enforcement services. Even after he announced his decision, Dinesh Gunawardene, who was named the Leader of the House by his party, forced open the doors of his new office and assumed duties in a position that he was never officially appointed. For the moment, Constitution in Sri Lanka stands suspended, and grossly abused. Independent institutions are subjugated. The state has been captured through political thuggery and abuse of power. Maithripala Sirisena and Mahinda Rajapaksa have pulled off a sinister gimmick that their kind in Venezuela,Nocalas Maduro and Nicaragua,Daniel Ortega resorted in recent times, with the dual use of misappropriated powers in their offices and thuggery. This high-handedness is unlikely to be subdued. 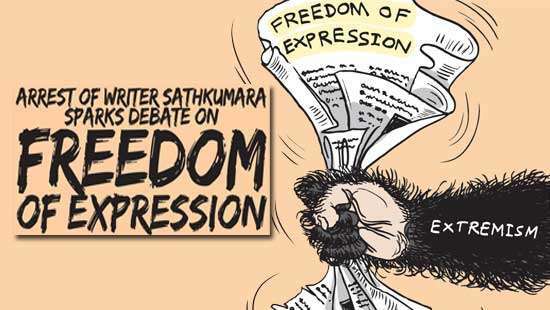 Instead, they will spike it up, with the hope that the UNP, especially its leader Ranil Wickremesinghe, whose resolve for a full blown showdown is in doubt, would give up. The Speaker’s notice nonetheless provides constitutional grounds for the continuation of Ranil Wickremesinghe and his cabinet. If the UNP leadership really wants to make use of this opening, it should now be prepared to play the hardball politics. Its ministers should go and reclaim their ministries. If the UNP wants to fight this out that requires some real guts, which could probably transform the party itself. That would cause chaos, and inevitable violence. That is after all a necessary cost the parties that strive to restore democracy should be prepared to pay. Democracy in this part of the world has not been given in a platter; it has always been won through tremendous sacrifice, though these very nations have subsequently failed to sustain their democratic achievements. Now Sri Lanka has two parallel governments. One which does not command the support of the majority of the House and is appointed by a self-serving presidency. The other was unconstitutionally sacked by the same president, who has no constitutional prerogative to sack a sitting prime minister. Nor has that government been challenged by a no- confidence motion, or ceased to function by any other means as stipulated by the Constitution. The President has plunged the nation into its worst ever crisis in recent times. His arbitrary sacking of the government came days after the Lonely Planet declared the country as the best travel destination for the year 2019. Since then a host of European countries and America have issued travel advisories on Sri Lanka. A mega development grant of US$ 460 million by the United States’ Millennium Challenge Cooperation is now hanging in the balance. 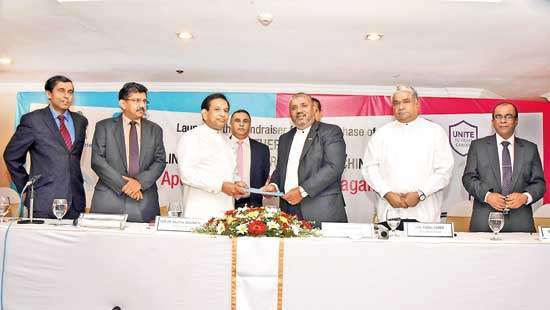 The grant, first of its kind to Sri Lanka was to be spent on upgrading road transportation and bus services in Colombo over the next five years. The US bilateral co-operation has hinted that current political development has stymied the process. Meanwhile, Japan International Corporation Agency (JICA) has suspended US$ 1.5 billion loan for the Colombo light railway project. If things come to crunch, Japan, the largest and most generous donor of all, would be the first to toe the Western line of approach towards Sri Lanka. To make matters worse, the European Union has warned that the country would lose GSP Plus trade concessions which have been a boon for the country’s garment industry. All this is due to one man’s greed for a second term in the office. Yet the President insists on proceeding with his ploy, dragging the entire country down with him. Courtesy of his selfish manoeuvering, Sri Lanka is now going through a phase of extreme manipulation and mechanization of the country’s democratic structure. Legitimacy of the elected office and public trust therein are seriously undermined. Arbitrary prorogation of parliament is used as a breathing space to lure the opposition parliamentarians on the back of pecuniary inducements, allegedly as large as Rs.500 million. 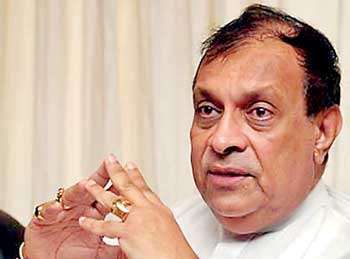 One by one MPs are fished out from the UNP and minority parties. This is not statesmanship, this is disgusting low life politics that the Third World is known for. People are forced to witness as their MPs sell their vote to the highest bidder. Both Sirisena and MR have taken an entire nation for suckers. Manipulation is not limited to politics. Colombo Stock Exchange has been showing trading behaviour that cannot be rationally explained. Over Rs. 4 billion of foreign investment left the market just in a week since the appointment of MR, compared to Rs. 6 billion total foreign outflow during the first nine months. Despite the net selling by foreign investors during the past two weeks, market has gained a few notches aided by local buying. Though it sounds impressive the explanation lies in the reputation for wash-trading of the large politically connected local investors, whose illegal market practices have been kept under tab by the SEC in recent times. Now that the institutional integrity is undermined, usual culprits have resorted to the old means to give a feigned impression of investor confidence in the new government. It would not be long before these wash-traded stocks get dumped in the market, fleecing small investors who were gullibly bought into this ruse. 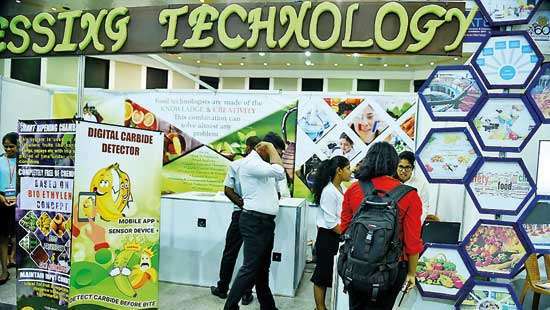 Sri Lankan economy had been going through a phase of painful economic restructuring. MR is now undoing that whole legacy for cheap political gain. Rupee depreciated by Rs.4 to the US$ within four days, and since then, the further slide is averted by selling foreign reserves. That is not economics, that is selling the future of this nation and its children. It would not be long before, that the country lurches back to international isolation. Already, rhetoric is getting loud and ominous. Gotabhaya Rajapaksa, the President’s adversary until two weeks back, and now probably the advisor, says that “we don’t have to reconvene Parliament just because foreign envoys tell us to do so.” The usual conspiracy theories of foreign interference are making a comeback. Non existing threat of federalism is being dug out to use as a bogyman. Sri Lanka is being scarified on the altar to advance the political ambitions of a petty-minded few. International community has a role to play. The announcement by the Speaker provides constitutional grounds for the civilized nations to recognize the previous status quo of Parliament. They should make their position loud and clear. Waiting on the sideline would see this country descended into one man’s absolutism. Such a state is more likely to shun the civilized world, and bed with like-minded partners. That would mean, by waiting, the world community would also lose Sri Lanka.